Dogs We Have Earned Titles On. 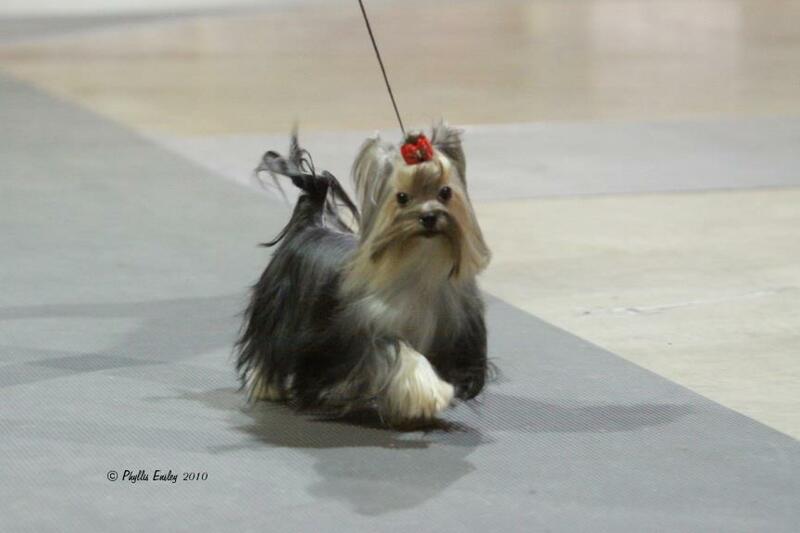 Japanese, American Champion Hearts Ease JP's Sujyaku in the Group ring at the Greater Atlanta Toy Dog Specialty 10/17/2013. Expertly handled by Emma. Sophie was a natural in the ring.... A handlers dream. Her movement was perfect, her attitude amazing. She had it all, and made the ring her own. She was a show stopper and judges loved her. She finished her championship really fast. Tucker is an amazing dog. He has been shown exclusively by Emma since he was six months old. 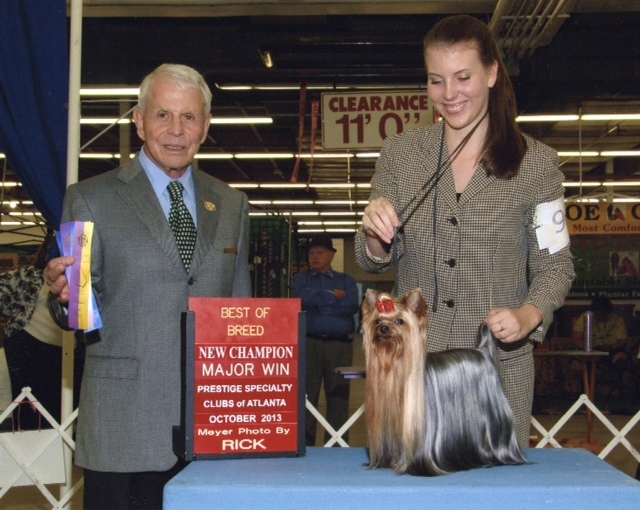 He was instrumental in Emma's wins at the Eukanuba Junior Showmanship Championship two years consecutively, and is now campaigned as a "special" by Emma. He is a beautiful dark steel blue and gold dog with a gentle heart. He loves working in the ring with his mistress, and has no desire to retire any time soon. 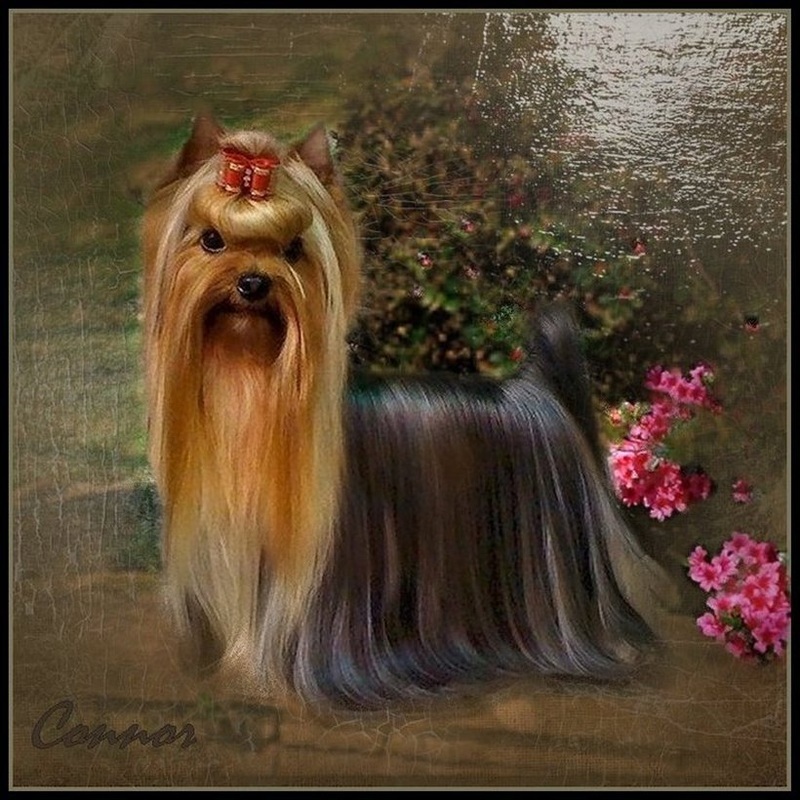 Emma completed Conner's AKC Championship after she finished Sophie. He is a littermate to Tucker, and a beautiful dog with an amazingly fast growing coat. He quickly drew attention from interested parties in Brazil, and has had a great show career in South America winning a 4th Best in Show and a new international title. Lance was Emma's first show dog. 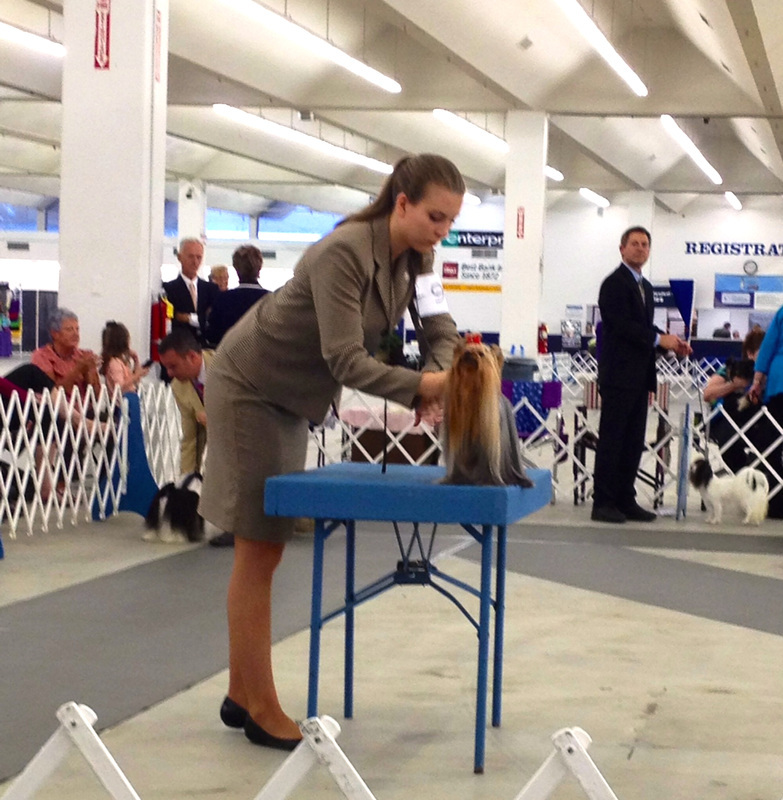 She finished both his AKC and his UKC championships when she was only 13 years old. 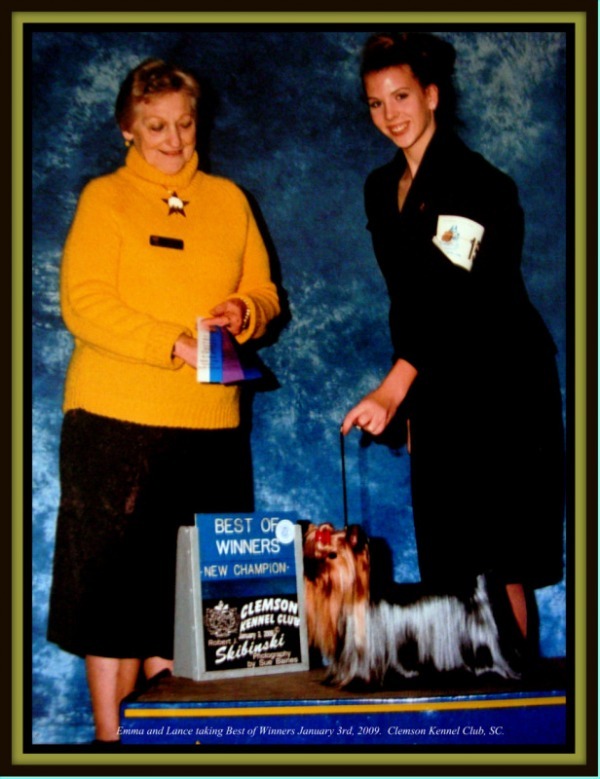 He was her first Junior Showmanship dog, and was a great dog in the show ring. He was eager to learn, eager to please and the sweetest boy ever. He went "Reserve Best in Show" at the UKC Georgia State Regional Championships in 2008. 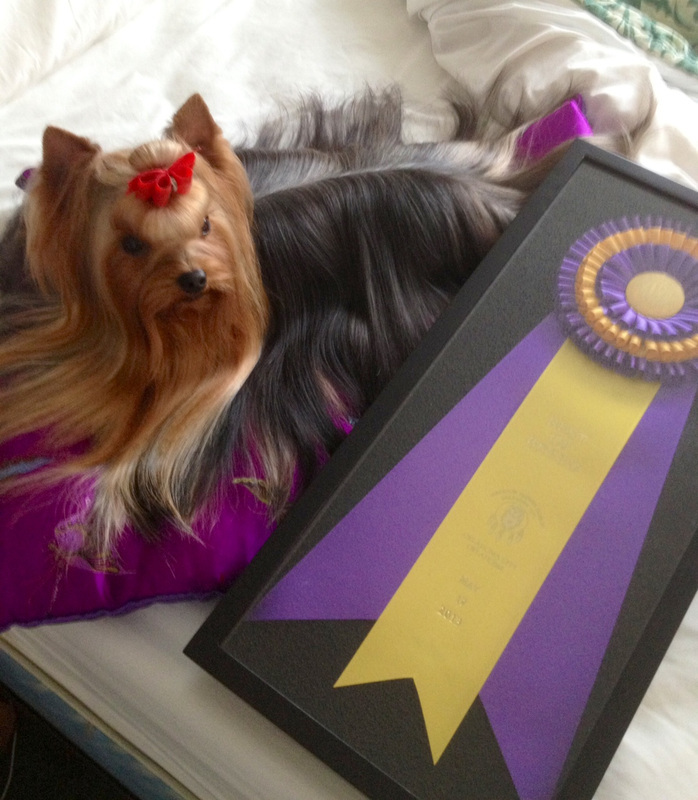 First time in history for a Yorkie in the United Kennel Club. He was shown at both the prestigious "Westminster Kennel Club" in Madison Square Gardens and the "AKC Eukanuba Championships" two years in a row. 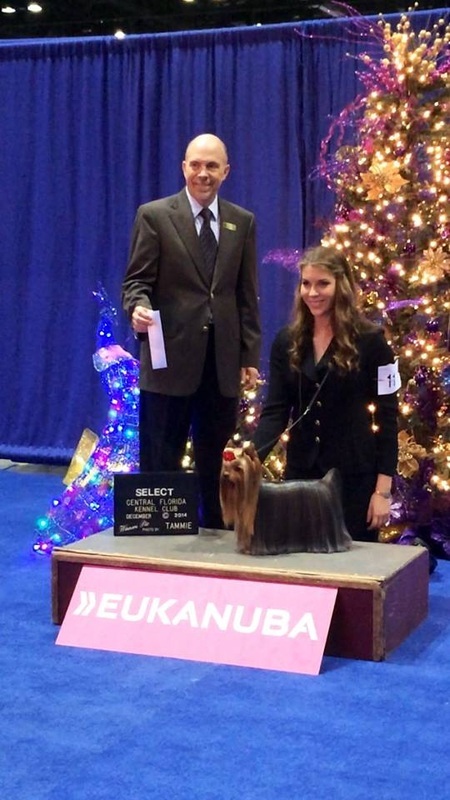 He helped Emma place in the top ten at the Eukanuba Junior Showmanship Championships his second year out. He had a lovely Steel Blue and Gold coat that was of a pure silk texture, and had a wonderful disposition. Emma taught him to loose leash free stack, and he was very showy in the ring. Lance is now retired, and rules the roost at Shirebourne.